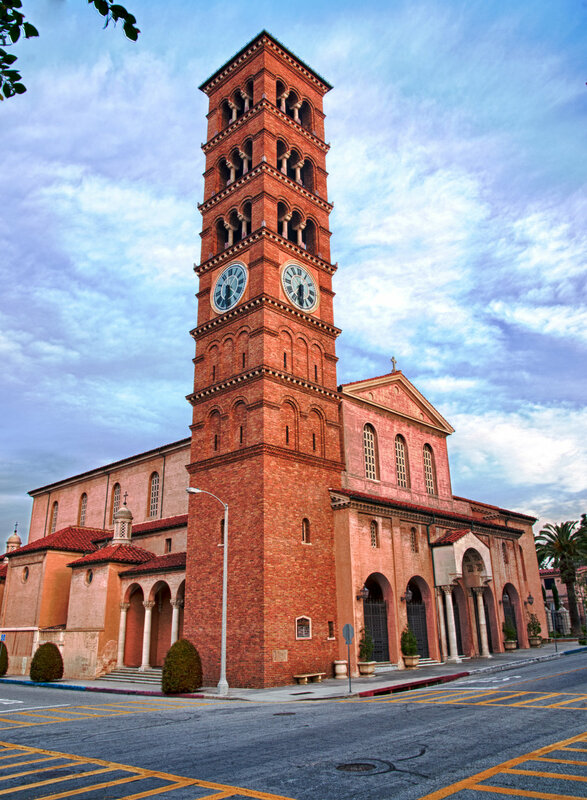 St. Andrew Roman Catholic Church, an architectural treasure, nurtures a diverse and welcoming community dedicated to connecting faith in Jesus Christ with service to others. La Iglesia Católica Romana de San Andrés, un tesoro de arquitectura, nutre una comunidad diversa y acogedora dedicada a conectar la fe en Jesucristo con el servicio de los demás. Additional parking will be available in the engineering building across the street on Easter Sunday! Never forget the value of your Catholic faith and the importance of your Catholic identity! Registration for our First Holy Communion and Confirmation classes are open now! Catechesis is more than just religious education-it is a life-long journey of conversion. Our goal is to bring our children to Christ, to prepare them for the sacramental life of the church, and to help them understand the social justice implications of discipleship as we integrate prayer into our lives. Please visit First Communion or Confirmation for more information. Please join the Monthly Novena Prayer to the Divine Mercy , in English, every first Saturday of the month beginning at 6:30 a.m. 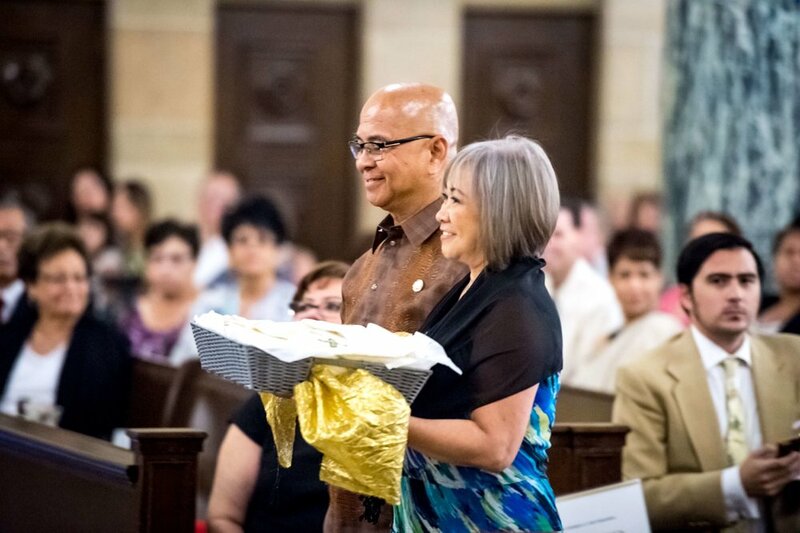 This year's theme of Let Us Love reminds us that our gifts to Together in Mission are an active demonstration of our faith and love for those in our Archdiocese who need our support. As of now, St. Andrew Parishioners have pledged $65,850 and paid $51,438.74. We continue to encourage you prayerfully consider helping reach our parish goal of $92,158. Your gifts will go a long way. Thank you for your generosity. Call today for a private tour! Do you feel a calling to serve homeless families in our community? Would you like more information about how to be part of St. Andrew Parish's outreach to homeless families? The Gospel of Matthew reminds us: "Amen, I say to you, whatever you did for one of these least brothers of mine, you did for me." (Mt, 25,40). As a parish community, we reflect these holy words in our mission statement when together we declare our dedication to connect our faith in Jesus Christ with service to others. The newly formed Family Promise Ministry of St. Andrew Church seeks to make this statement a reality through the provision of temporary overnight shelter to vulnerable homeless families right here, in our parish facilities. There are 178 Family Promise affiliates in 41 states across the country. Family Promise’s mission is “to help homeless children by assisting their families to stay intact and to regain stable housing and employment within a supportive, volunteer-driven community.” Family Promise holds dear the core values of hospitality, empowerment, compassion, mobilizing communities, and hope. This is a great opportunity for us as parishioners to serve together. It’s a wonderful way for our families to participate in ministry, instilling in our children the care and respect that God has for the poor and vulnerable. We are also asking that different parish ministries sponsor a day on which to provide meals and other materials or services for the families who will be staying with us. This is a chance to exercise any gifts or talents you might have for the benefit of neighbors who are trying to transition out of a difficult situation. Please join the St. Andrew Young Adult Ministry every Wednesday for faith sharing and bible study at 7:30 p.m. in the Pastoral Center. We discuss and reflect on the readings for this upcoming Sunday and have a potluck dinner afterwards. Please enter through the side entrance. For more information please email Daniel Saucedo: youngadults@standrewpasadena.org. St Andrew honors Saint Padre Pio with a mass celebrated with Archbishop Auza, Apostolic Nuncio to the United Nations.